Mercifully for you, I rarely play artists on Global A Go-Go who have appeared in the Eurovision Song Contest. 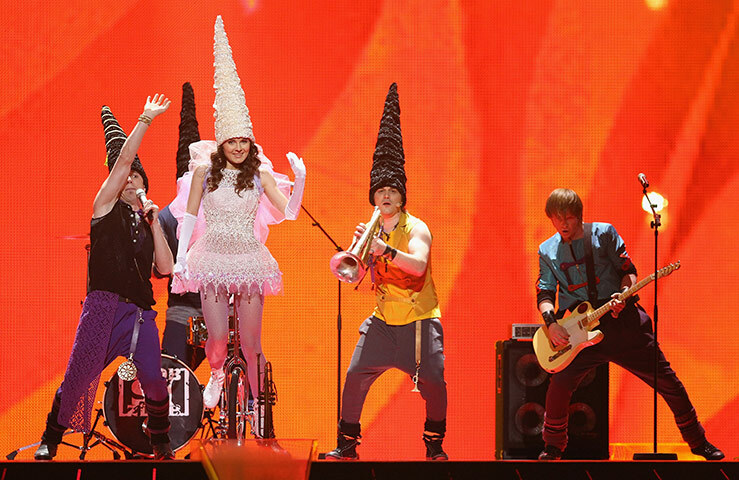 But I'm making an exception this week for Balkan-punk band Zdob Si Zdub (pictured above in their Eurovision 2011 performance) from Moldova, whose new album Basta Mafia! will be released early next year. Also this week: some Irish-influenced rock; three versions of Watcha Clan's "Balkan Qoulou" (the original, a remix and a mashup, with each adding new flavors to the pot); great African female singers 1969-1984; and Ethiopian music of yesterday and today.